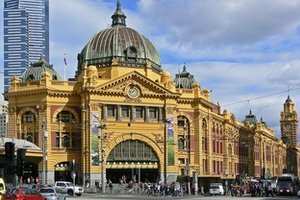 Often considered as the cultural hub of Australia, Melbourne is packed with museums, theatres and art galleries that you could easily spend weeks exploring. Then there’s the shopping, food, and nightlife… we could go on and on. It’s the reason why Melbourne has been voted the World’s Most Liveable City 7 years in a row. We worked hard to put together a comprehensive collection of our favorite spots and while this isn’t meant to be reflective of everything to do and see in Melbourne, nor in any particular order, it’s a fantastic starting point to base your stay around. 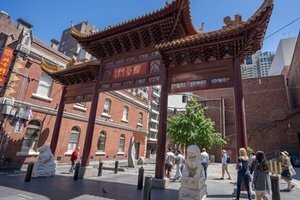 If you truly want to experience this city from the ground roots, we strongly recommend booking a private walking tour in Melbourne with us. 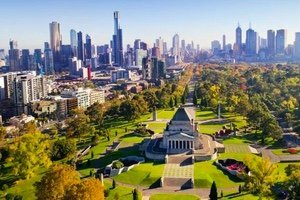 We will be happy to work with you to create the most amazing experience for your time in Melbourne and have included our itineraries to give you a better understanding of some of the things we cover. 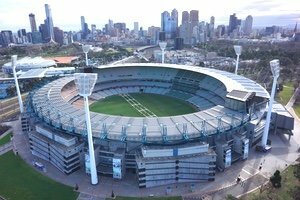 The home of Australian football since 1859, the MCG or ‘G as it is commonly known, has a rich sporting history. Home to some of the biggest sporting events in Australia, it has a capacity just over 100,000. Known for being the place to meet in Melbourne, the term ‘meet me under the clocks’ is a common expression for Melburnians. The distinctive yellow facade is a landmark in the city and the oldest train station in Australia. 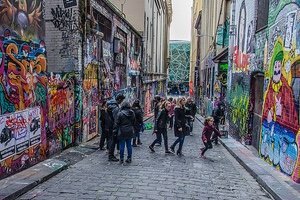 Opposite Federation Square you’ll spot this graffiti-filled laneway packed with hoards of tourists eager to take a selfie with a colorful backdrop. It’s definitely worth a visit but best if you can come early in the morning to avoid the crowds. 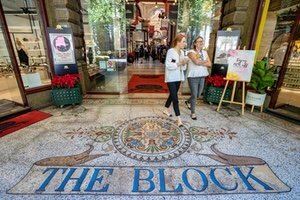 A heritage shopping arcade in downtown Melbourne dating back to the 1890s. It was once known as Carpenter’s Lane and was built to resemble the Galleria Vittorio in Milan. 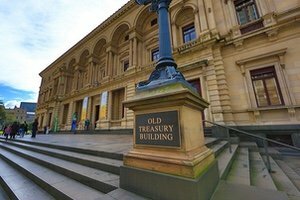 Designed by a 19-year-old architect and completed in 1862, the Old Treasury Building is regarded as one of the finest buildings in Melbourne. It is now home to a free museum which details the Victorian Gold Rush. 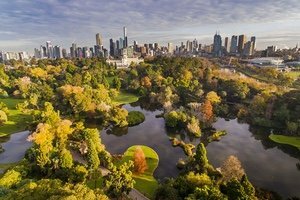 Extending across almost 100 acres the Royal Botanic Gardens is the largest of Melbourne’s gardens displaying over 50,000 individual plants representing close to 10,000 species. 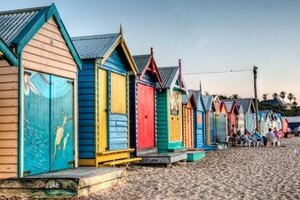 Perched on the sand of Brighton Beach you’ll find 82 colorfully painted little sheds all lined up in a row. These bathing boxes are a remnant of over a century ago and a reminder of the seaside bathing practices of yesteryear. 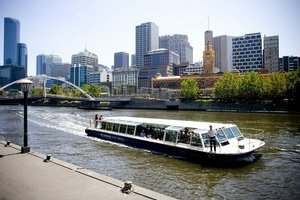 Enjoy a relaxing cruise along the Yarra River. Take in the sights as you float peacefully by. You likely be competing with the rowing squads, narrowly ducking under the low-lying bridges. A great way to spend an afternoon or evening. 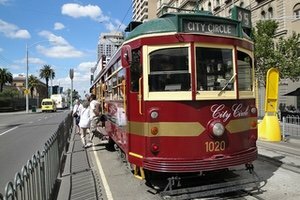 The City Circle route is free and convenient way to take a ride around Melbourne. It is serviced by heritage W class trams decorated in special maroon and green with yellow and gold trimmings. Trams run every 30 minutes. 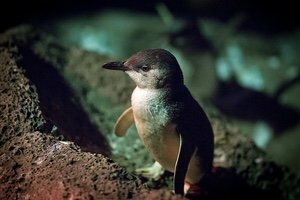 Wander to the end of St Kilda pier any night and you might be lucky enough to see some of the local inhabitants – a colony of roughly 1400 tiny little penguins. The best time to visit is 30 minutes after sunset. 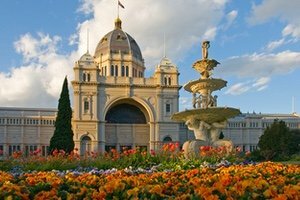 Showcasing Australian history, culture, and environment, Melbourne Museum is a great place to visit for the first-timer or seasoned local. Popular exhibits include a life-sized Phar Lap (famous racehorse) and a living forest complete with wildlife. Be sure to visit the attached Bunjilaka Aboriginal Cultural Centre. 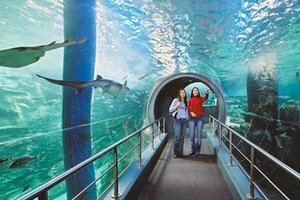 Situated on the banks of the Yarra River you’ll find the SEA LIFE Melbourne Aquarium. You can get up close and personal with sharks, stingrays, tropical fish, and even penguins. Containing over 320 animal species from Australia and around the world it was originally modelled on the London Zoo. 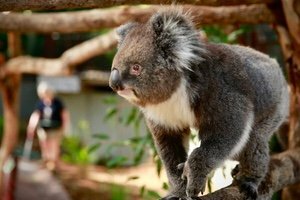 A popular exhibit is the Australian bush zone with koalas, kangaroos, emu, echidnas, and wombats. 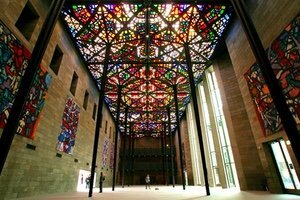 Australia’s oldest, largest, and most-visited art museum housing over 70,000 works of art. 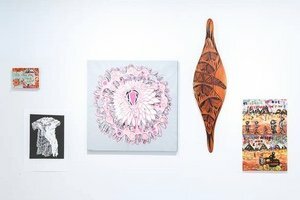 Free to enter the permanent collection with regular (paid) exhibitions of Australian and International artists. Housing over 600 small businesses including clothing, souvenirs, food and much more, the Queen Victoria Markets are the largest open-air market in the Southern Hemisphere. On Wednesdays they host a popular night market. 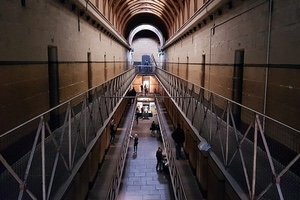 Built in the mid-1800s, the Old Melbourne Gaol was a symbol of authority where dangerous criminals were held alongside petty offenders, the homeless and the mentally ill. See where some 133 criminals, including the famous bushranger Ned Kelly, were hanged. 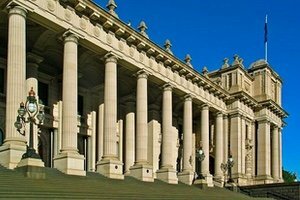 This historic building is home to the Victorian state parliament. 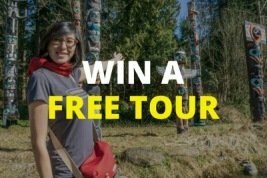 They offer free public tours on days when parliament is not sitting. 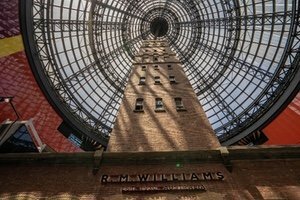 Melbourne Central is a large shopping centre and transport hub known for its historic Coop’s Shot Tower and Dome that can be found in the middle of this massive mall. Blink and you’ll miss this tiny alley but that doesn’t mean you shouldn’t visit. 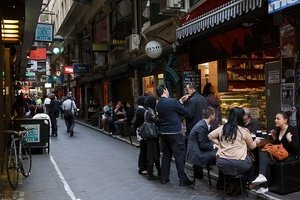 Centre Place was one of the first laneways to be ‘revitalized’ in the 1980s and is now a bustling hive of activity with hole-in-the-wall eateries and graffiti-lined walls. Australia’s oldest public library and one of the first ‘free’ libraries in the world. 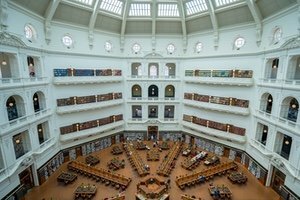 Inside you’ll find a jaw-dropping domed ceiling along with other beautiful reading rooms. Ned Kelly’s armor is a popular attraction. 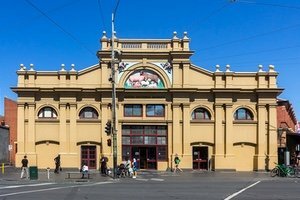 The oldest surviving building from the Great Exhibition era in the 1800s it is a pristine landmark in Melbourne. 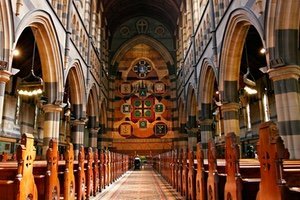 There are daily tours of the beautifully-restored interior and you will see where the federation of Australia has its roots. 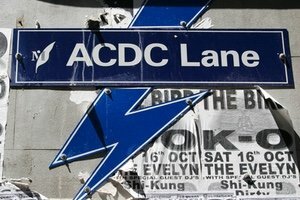 Slightly away from the hustle of its big brother, Hosier Lane, you will find ACDC Lane. Named after the legendary Australian rock band, the graffiti-filled walls tell the story of many of the rock’n’roll stalwarts that have graced the adjacent Cherry Bar. 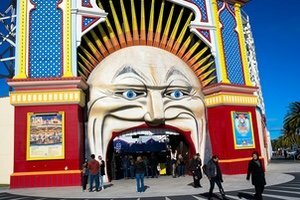 Located right next to St Kilda beach, Luna Park is an amusement park with exhilarating rides for kids and adults alike. Complete with carnival attractions and a fun-filled atmosphere making it the perfect weekend getaway for families. 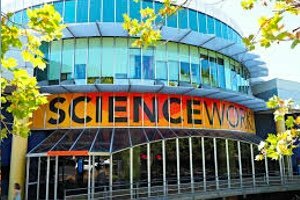 Scienceworks is the perfect place to visit for the inquisitive person who wants a hands-on learning experience. Great for a rainy day or family adventure as you’ll be challenged both physically and mentally. 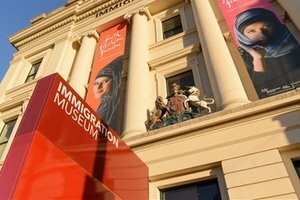 Inside the restored Customs House you’ll find this thought-provoking museum dedicated to the stories of the immigrants who left their home to make a new life in Australia. Consisting of numerous lanes, alleys, and arcades, Chinatown dates back to the Gold Rush and is the longest continuous Chinese settlement in the Western World. Come for some delicious dumplings or yum cha. A memorial to Australians who have served in war and peacemaking operations located near the Royal Botanic Gardens. It features over 800 artworks and historical artefacts. High above the city on the 88th floor of the Eureka Tower you’ll find one of the best views Melbourne has to offer. If you’re feeling daring, try the Edge Experience – a glass cube suspended almost 300 meters above the streets below. 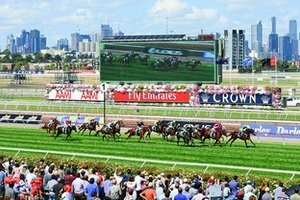 Home to the world-famous Melbourne Cup ‘the race that stops a nation’, Flemington Racecourse is an important sporting venue for Victorians. A gorgeous Anglican Cathedral located opposite Federation Square. It is the seat of the Anglican Primate of Australia and once welcomed Pope John Paul II. 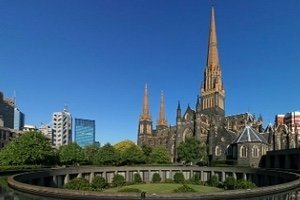 St Patrick’s Cathedral is the mother church of the Catholic Archdiocese of Melbourne and a stunning landmark, located just outside the city grid. Yet another great way to grab a view of Melbourne. 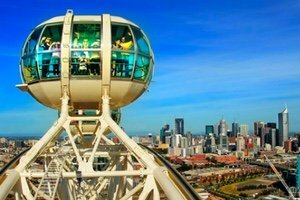 Take a ride on the Southern Hemisphere’s only Giant Observation Wheel, open day and night for a unique look over the city skyline. 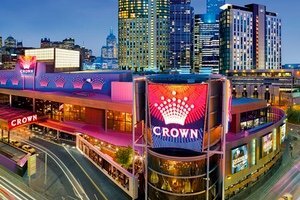 An enormous entertainment and casino complex on the southern bank of the Yarra River. Comprising 3 luxury hotels and a swathe of connecting bars, theatres, clubs, restaurants, gaming floors and much more. While the stunning Moorish facade could use a facelift, don’t be fooled into thinking this place is derelict. 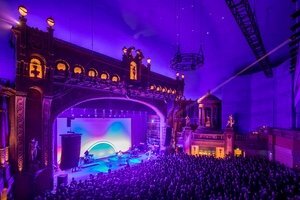 Inside you’ll find one of the most beautiful atmospheric theatres, complete with a night-sky ceiling. The beautiful Princess Theatre dates back to the Gold Rush, making it is oldest continuous entertainment site in mainland Australia. 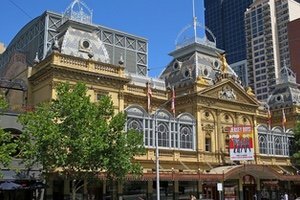 Home to many of the best broadway shows to come to Melbourne it should definitely be on your list. 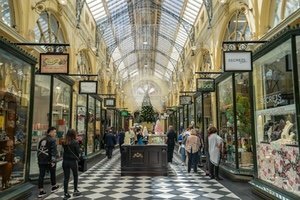 Holding the title as Melbourne’s oldest covered shopping precinct this stunning arcade will have you staring at the ornate glass and wrought iron ceiling. Don’t miss Gog and Magog, two giants hovering above the southern end. Established to protect and collect the indigenous Koorie cultural heritage, the trust now provides education programs and activities for future generations to learn from. 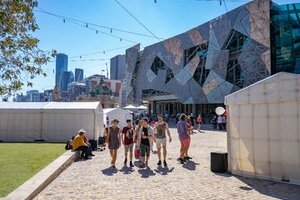 They also offer guided walking tours led by Koorie guides which cover the aboriginal connection to the land surrounding Federation Square. 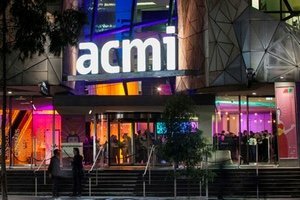 An interactive museum dedicated to Australian film, video games, digital culture and art. 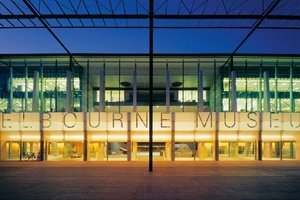 This popular attraction is the most visited moving image museum in the world and one of the most-visited museum in Australia. Discover Little Italy in this bustling neighborhood just north of downtown. 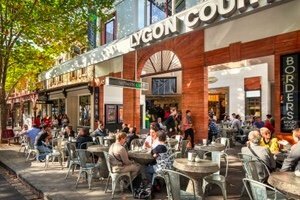 Take a stroll down the tree-lined Lygon Street and see where Melbourne’s famous cafe culture took hold. 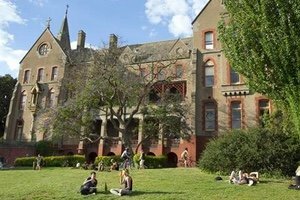 Once occupied by one of the largest convents in Victoria, the Abbotsford Convent is now used as an arts, educational, and cultural hub. It plays host to live music performances, markets, galleries, and an organic pay-as-you-feel restaurant.